**FREE SHIPPING**.This product is not sold online. Call 1(800) 542-0111 for discounted prices on Freight & Quantity. As the name & the look says it, it's truly a chair for an Emperor. This Chair can give your shop a classic, old fashoned unique look making it a topic of conversation & a good reason for new customers to walk in. 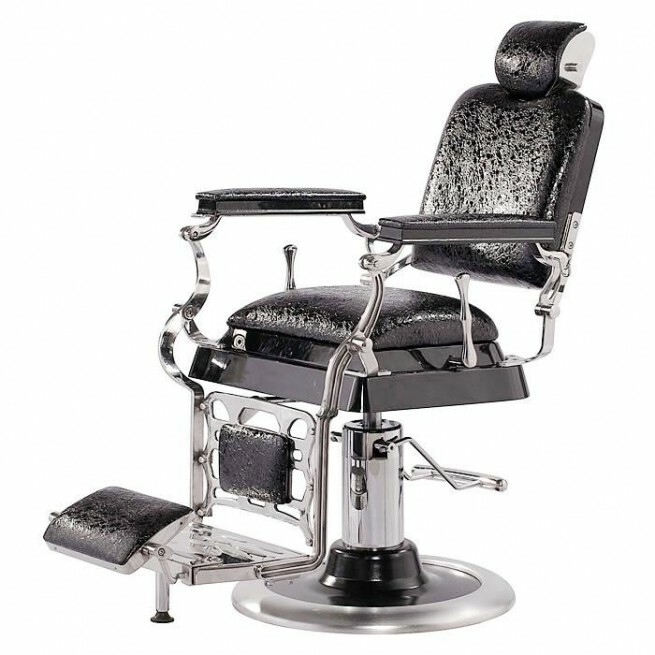 The Norva Emperor Barber Chair comes with an Extra-Heavy duty hydraulic pump , X-Heavy duty gas shock for seat back recline & footrest raise. The footrest is equiped with an anti-tip pedestal safety feature. The width between the arm rest is 21 ". The hydraulic pump has a 7.8'' travel. As the name & the look says it, it's truly a chair for an emperor. Each chair is covered by a 1 year Limited Mfg warranty & 2 years in total warranty on the hydraulic pump. Call Mike on 1(800)542-0111 for discounted prices on freight & quantity.